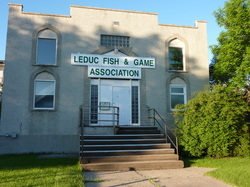 Our annual general meeting is held on the first Wednesday of December at the Leduc Fish & Game club house 4807-49 Ave. Leduc, AB. are interested in or if you would like to nominate any one for a position. 4807 49 Ave. Leduc, AB.